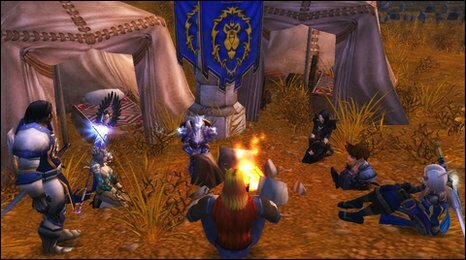 For legions of gamers, entering Azeroth or the Kingdom of Khanduras is a chance to shake off the rules and conventions of the real world, and immerse themselves in fantasy. In these mythical lands almost anything goes. But for a select few, even the freedoms offered by these imaginary worlds are too restrictive. These gamers turn to the world of the "private server", privately-hosted versions of commercially-available games where the creator's rules no longer apply. For every game with an online community, it is likely that scores or perhaps even hundreds of these exist. There is no official tally because such servers are usually under threat of closure from games firms. But a quick web search will turn up advertisements for hundreds. Games such as the hugely-popular fantasy World of Warcraft (WoW) as well as plenty of first-person shooters have spawned numerous pirated worlds. They are typically run by amateurs and allow gamers to assume powers unavailable in the commercial form of the game. Crucially, players rarely pay a subscription fee for the privilege of entering the world - unlike retail versions. However, they are also notoriously buggy and many open and close within a short space of time. 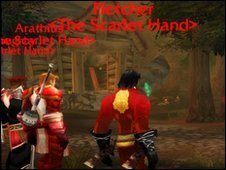 For South African gamer, Hendrick (not his real name) it was a simple decision to set up his own WoW server. "I made my server because the game wasn't available in the country at the time," he said. The server was called One Shard and was advertised through word-of-mouth. At times it had up to 50 gamers online. He set up the server to be as "Blizzlike" as he could, meaning it was as close to the real world of WoW created by Blizzard Entertainment. One Shard was free to use, but like many such servers, full of bugs. Hendrick moved onto the retail form of the game fairly swiftly after it became available. "I played games master, had a lot of fun creating items and spawning world bosses on unsuspecting players. But I only ran the server until about a week after the WoW launch in the country." But for amateur coder Henri, 17, living on a farm with his parents in Belgium, there was a very different reason for hosting his server. "Why? WoW requires 15 euros a month. Private servers are completely free. It's a huge reason if you ask me. "In addition, private servers have possibilities that you don't have on retail." Part of the attraction, he said, was the ability to customise the game world: its characters, buildings, items and so on. Another was the technical challenge of keeping the server running. "Like everything that has to do with computers and programming, it's not hard at all once you know it. Now I'm familiar with it, it's a piece of cake." But private servers can evolve far beyond a teenage playground. Twenty-one-year-old Swedish musician, novelist and artist, S, had a day job "playing the stock-market". However, he was also creator and owner of the Epilogue server, a private role-playing server for World of Warcraft. It had strict codes of conduct and rules, as well as a high degree of customised content (such as new currency, methods of earning experience, the ability to construct buildings and hire non-player characters, plus 'permanent' player death) unavailable in the retail version of the game. 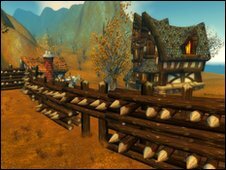 "I would consider Epilogue to be my first serious attempt at a private server," said S.
"The idea started when I quit playing retail: the almost non-existent role playing support from Blizzard was ticking me off. "I'm definitely not alone about feeling that way; there are still thousands of role players out there feeling the same." "I wanted Epilogue to be unique," he added. "Hated and loved. I think we did quite a good job." S said that he had researched and played on many other private servers before designing Epilogue. He even hired in writers to develop an entirely new background story, or "lore", for his world, separate to that created by World of Warcraft's owners. He also gathered a team of coders and scripters to create some of the special effects he needed. But with it requiring seven to eight hours of his time a day, S had to choose between Epilogue and his real life: the server recently closed, though others are trying to re-open it. Unsurprisingly, the top games companies have been less than impressed by such developments. Last year NCsoft and Blizzard went on the offensive. NCsoft, publisher of massively multiplayer online games such as Guild Wars, Lineage II and City of Heroes, called the existence of private servers "a growing menace of intellectual property theft" and launched legal action against an inter-net cafe chain in Greece it claimed was hosting its games. "Illegal game servers have a hugely negative impact on both NCsoft Europe and its customers," commented Max Brown, NCsoft Europe's sales & operations director. Blizzard Entertainment, which produces World of Warcraft, Diablo, Starcraft and other titles similarly launched a legal crackdown last December, starting legal proceedings against several private server hosts. "We take pride in the work we've created and are committed to helping reduce copyright infringement and software piracy," said a spokesperson, who claimed that the firm handled many complaints from gamers who have been exposed to malicious software or fraud after joining a private server. "We also have a responsibility to our players to ensure the integrity and reliability of their World of Warcraft gaming experience and that responsibility compels us to protect our rights." But not everyone feels the industry has got it right. "The situation has strong parallels to the music industry and file-sharing," said Tom Lingard, senior associate in the intellectual property team at law firm Stevens & Bolton LLP. "Games companies probably know that it is impractical or impossible to take action against every unauthorised server. However, they do need to be seen to be doing something and may also be compelled to take action against particularly popular servers in order to protect their revenues." The music industry's approach to file-sharing has varied from targeting major sites, such as Napster and the Pirate Bay to suing people for downloading songs. "There is a similar range of legal options open to games companies - including actions for breach of contract and copyright infringement - but the difficult part is striking a balance and picking their battles carefully." It is a parallel that is not lost on Henri. "It's illegal, but nobody cares," he says. "Everyone does it and the big guys can't help it. It'd be hard to go and arrest the whole world."